Good morning. We have booked guests to visit Vic Falls this weekend ( 29 Nov - 02 Dec 2018. What is the current levels of the water? As is consistent with this time of year. The water is at its lowest level, but that means that there is still a reasonable flow of water over devils cataract and Main falls. It is still spectacular. Our rains are just starting, in fact as I write this we hare having one of the first big downpours of the season. This will however have little impact on the water level at the moment, only once the rains build into late December, does the river start to rise dramatically. My wife has always wanted to visit the Victoria Falls, am considering early November, we are looking for nice relaxing holiday, see the falls (lower water levels will be fine) and some wildlife, perhaps a river trip but nothing too strenuous. 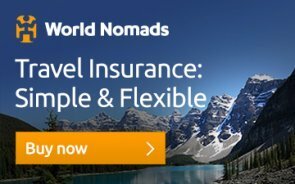 We are both in our early 60’s and are looking for single centre accommodation in Victoria Falls (ie not safari) but there are two complications. Firstly, in past we have been “eaten alive” by mosquitos, so is early November a good time to minimise risk, secondly I have recently been diagnosed with lymphoma. The outlook is good and I may not need treatment for many years, but it does mean no live vaccines, eg Yellow Fever. I am OK with malaria tablets. Also, we are vegetarian (but do eat some fish). Are my expectations for a November trip realistic? I think your expectations are realistic. The Mosquitoes are not bad in Victoria Falls these days as they is controlled spraying which has been very effective. November as it is dry would certainly be a time for the least amount of bugs and mozzies. We are trying to plan a trip to the vic falls and would be there the 11th and 12th of February 2015. With current river levels and rains, what would the visibility be like then? We did have good rains this year and the river rose dramatically as one would expect, but that peaks around April / May and the river drops quickly after that. Low ater rafting started earlier this year than it has for many years. November is the lowest level the river gets all year. Having said all of that the Zambezi is a big river and it obvuiously never dries out it just gets lower than its peak flood, so there is always a lot of water and this is channeled onto the Zimbabwean a side at that time of year as it is a bit lower than the Zambian side. So its still very impressive in the low water season but be waare that it is not the same as in the high season. I'm looking at doing a tour of a few countries in Africa in November. I think I'll be at the falls around 11th November on the Zimbabwe side.Have the rains been decent enough this year that I will get a reasonable view of the falls? March is a good time of year. It is heading towards the end of our rainy season so you can still catch some rain which can affect your days and cool things down a bit. But generally the weather is hot and clear. The Falls will be very full of water and the bush will still be thick and green although just starting to turn. Not the best time for game viewing but I am not sure if that is a priority of yours. Activities like the devils swim and white water rafting not available or good at that time as the river is too full. Hope that helps. For more information send us an email via the contact us form and we can assist you. Not sure what routes or roads you are planning on going but all roads around Vic Falls are tar and you will have no problem in a 2 wheel drive sedan. If you are planning on going on game drives in the park you would have a problem. Rivers flood with the big rain storms we have had but they subside, all access roads have high level bridges. Thank you Tony, we believe there has been flooding in the vic falls area. We would be driving with a two wheel drive sedan, would that be advisable? The Falls are full of water in February, it’s not peak flow but it’s still very high. As one walks along the path eastwards it gets very wet and is almost a total white out as you get towards Danger point. But views from the western end of Main Falls etc are spectacular. Not a great time for Photography as it is very wet but a great time to feel the full force of the waterfall. Almost a must to see it from the air at this time of year. Is mid February a good time to visit the falls ? What will be the views like - we don't want to be disappointed with mist from the spray obscuring everything. Will the other activities there like the microlight flight, devil's pool etc. be possible in February ? Which side is optimal - Zambia or Zimbabwe in February ? Comments for Is mid February a good time to visit the falls ? Mid February is getting towards the end of our rainy season. By that stage we will have had lots of rain and the river will have risen considerably, which means that the falls will be quite full. However the main flow of water is that which arrives from the big catchment area in northern Zambia, this water does not arrive until around March April time. So February is a good time, the Falls are full but not at there fullest. There will be lots of spray and as you go towards danger point in the center of the Falls, there could be an almost white out where the view is obliterated by spray. However you will still get clear views of the falls from the western end. It's a good time because you will get clear views from some vanatge points but you also get to experience the full might of the Falls. I would definately view it from Zimbabwe as you will get clearer views from that side. Most activities will be available except for the Devils swim and low water white water rafting, these will have closed by then due to the higher water. Microlight flights, heli flights, cruises, game drives etc will all be avialable at that time. The only down side with February, is that the game viewing is not that good at that time of year and it is possible that rain can interfere with your activities, but then thats mother nature and no one can predict it and in February we can also have glorious days of sunshine. Best Time of Day to View Wildlife? Is wildlife viewing typically better in the morning or in the afternoon? Is there a specific time of day when the animals are most active? Comments for Best Time of Day to View Wildlife? New year is a very busy time of year as there is a carnival that happens here. If you have not already booked accommodation you might struggle to find anywhere to stay and I would start off by looking for that. It is in our rainy season so that can be a problem as some activities can be cancelled, but yes it is a nice time of year. Very hot and humid but the falls look great then. I am planning to Visit Victoria Falls on December (Dec 30th, Dec 31st, Jan 1st).Do you think that is a good time to visit? I wanna go to both sides and try to go to Devil's Pool. I am planning to visit vic falls in early june 2019 (1st and 2nd most likely) how will be the visibility? I plan to go to Victoria Falls and Chobe National Park in the week of Nov 19,2018. Pls adv comments and would like to know the weathet in this year. The Falls themselves are spectacular at that time of year, they have a strong flow of water which give you the chance to feel their real power. The problem with Jan or Feb is that weather can be rainy as it is right in our rainy season, so doing any of the other activities that are available can be spoilt. If you are trying to do game viewing then again it is not at is best, as the animals are dispersed and the bush is thick, having said that there are still animals aorund and the bonus is all the young ones that will have just been born. So if only seeing the Falls is your main focus, then it's not a problem but just be aware of the other factors that I have mentioned. Generally you can get good rates at that time of year as it is low season, which is another advantage. This year we had a very dry and sunny Jaunary and a very very wet February, but that does differ from year to year. The weather is pot luck so impossible to accurately advise when in these two months is best, but if I was to stick out my neck I would say early January going on the weather over the last couple of years and the Falls are normally at a really nice level then. Is it worth coming in January or February? Hello. We are planning to be in Cape Town in either January or February 2019. We are considering coming all the way up to see the Falls, but it's a long way to come if they are not at their best. We are flexable on our dates. Which part of January -February are we likely to get the best WOW factor...........or should we leave coming to the falls for another time? Not really enough information from you to work on there re the game viewing. A lot will depend on where you are going on Safari as to the game experience you will have. Yes the Falls will be at its lowest at that time of year but if you are staying in Zimbabwe then there is still a good flow of water. The Zambian side will be almost completely dry then. We have already booked our honeymoon in late november, early december. How likely are we to see the Big 5 on our Safari and will Victoria Falls be mostly dried up this time of year? The water level will be dependant on the rainfall that we have had up till that time, but normally by late January the water level is quite high, not quite at its peak which is around April time. It's a nice time and level to see the Falls, there will be a lot of spray and you will get very wet. Hi, we are planning on visiting Victoria Falls late January 2018 can you tell me how the water levels will be please ? We are planning to visit Cape Town and Victoria Falls in November this year. Would you recommend us the falls from the ground in Nov this year? We understandvit depends on the rain (and effectsbof climate change!). In September the Falls are starting to get dry on the Zambian side. There will still be some water coming over the Falls but it is not phenomenally impressive. I would really recommend crossing over to the Zimbabwean side to get a view from there. Hello we are visiting Victoria Falls in early Sept and staying at Zambezi Sun, will we get a good water fall? Both Avis and Europcar have offices and vehicles in Victoria Falls. These are probably your best bet or are you looking for something out of the ordinary. September and October are prime months in Victoria Falls and there will still be a substantial flow of water over the Falls on the Zimbabwean side. Admittedly you don't get the full force of the Falls that you do during the peak flow months of April and May, but the views are clearer as there is not so much spray which can obliterate the views during the heavier flow months. You wont be dissapointed! On the Zambian side the Falls are reduced to smaller trickles. It is the best time of year to do game viewing. I'm planning a trip to Victoria Falls around end of September to end of October - can anyone let me know if there is likely to be much in the way of water in the Falls at these times - I'm not interested in any water activities but would like to see an impressive view of a lot of water in the falls and also have some good game viewing...please help! We are planning a wedding early April at Victoria Falls, will we need a marquee in case of rain, what is the likelihood or rain? If you want to see the Falls when they are full and spectacular, then April is a very good time as they are almost at their peak flow. Really spectacular, certain sections become a complete whiteout, where it is like being in a cloud because there is so much spray. A helicopter flight or microlight flight is a very good idea at this time of year because of all the spray getting a birds eye perspective is incredible. Activities like whitewater rafting and devils pool are not good during April but otherwise all the other activities are really worthwhile. Hi there, we are planning a trip to Victoria Falls early April this year. Can you olease advise whether this is a good time to see the falls? We would love to see the falls when it is full and spectacular. Also can you please indicate which side is the best - Zambia or Zimbabwe. And what other worthwhile activities there are early April. Thank you! Devils pool is normally always open by the end of August. In 2016 it opened in the middle of August. This year 2017 we have had lots of rain so water levels are higher but I still think that you would be safe if you booked in early September. September is a slightly more preferable time of year to go due to the extreme heat and the lower water levels in October. Me and my partner are wanting to combine cape down with Victoria falls. At the moment is between the end of august and the beginning or September or the end of September and beginning of October. We are trying to combine the shark dive with the devils pool and are also keen to do the waterfalls too. Out of the two what option would you say is best? If I am correct going at the end of the risk could be a risk for the devils pool as it may not be open? Is that right? Is we were to go at the beginning of October would the water levels be low and some places be dried up and the Victoria falls just not so spectacular like normal? May is a beautiful time of year, the rains will have gone by then and we have generally have lovely blue skies. The later it gets into May the cooler it gets as we head for winter but honestly our winters are very mild and temperatures are perfect. We have had so much rain this year that the Zambezi river is very full, but by late May the major flood will be over. However the Falls will still be extremely full of water which is spectacular to see them in that full force, the power is immense. The down side in a way is that because of there being so much spray from some viewpoints the view of the Falls is obliterated by the spray. Most viewpoints in Zambia are a complete white out but on the Zimbabwe side there are still tremendous viewpoints up to about no7, after that the gorge narrows and the spray gets to intense, beautful though to be walking through the incessant downpour. It's also a good time to see the falls from the air. Can you please tell me if Victoria Falls is likely to be spectacular in late May? The best time of year for the things you are hoping to do is late August through till end of October. Bear in mind that October is very hot though. So optimal time is September. Falls are good, Devils swim is open and at the right level, the weather is warm and the game viewing is at its best. This is peak season so I really do recommend making your bookings as early as possible. Please send us an email to info@victoriafalls-guide.net if you need any further help with your planning. Hi! 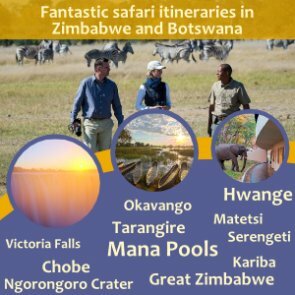 Planning our honeymoon and needing some help :) Can you please advise be best time of year to see V- falls and go on a safari (big 5)? At the falls we would like to do Devils pool, also want optimal time of year for animal sighting. Thanks!!! June the water is still high, so not good for activities like white water rafting and the devils swim but for all other activities its good. The Falls are still full of water and are very powerful with lots of spray. Evening and moring temperatures are quite cold so bring some warm clothes but it soon warms up during the day with lovely sunshine and temperatures around the mid 20 degrees celcius. Game viewing is getting good. It's not peak season so generally it tends to be a bit quieter and prices in most places fall into low season category. Is June 24-26 this year (2016) now good time to visit the Falls? Does that come in High or Low season please? We went to Victoria Falls in mid-Novemeber of 2014. The water level was very low at the time - much of the falls had no water at all. The winter is not the best time to view the majesty of the falls, but it is the best time for whitewater rafting (which I highly recommend!). Usually, end of December is high water, but we have been having low rains since last year, so it would depend on how much rains we receive this year. We want to visit the Falls in late December 2015, can you please tell me what the water level is. Animals as a general rule rest up during the heat in the middle of the day (11am till 3pm) so either morning or afternoon is good. They are on the move once it get cooler. 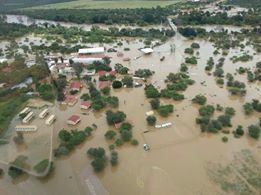 Have heard that there is alot of flooding in the Limpopo area and in Botswana. The border post is closed at Martin's Grift. Does any one know what the situation is in Hwange national park? Condition of Falls in early August....full or ?? We'll be touring South Africa the end of July and early August and would like to visit Victoria Falls at the end of our trip. I've been told that during the "dry" season the falls are not that impressive....is this true? If so, is it worth going there for a couple days? Comments for Condition of Falls in early August....full or ?? Firstly let me apologise for the very late response to your question, Boo and I have been travelling through the Zambezi valley for the last 4 weeks and have had no internet connection. We are now back in Vic Falls. July / August is a fantastic time to visit Victoria Falls, the water levels are just perfect, not too much spray which you get in the flood season and yet not fully into the dry season yet which is really mid September through early December. It is definately worth the visit. The Zimbabwe side of the Falls has water throughout the year, even at the height of the dry season which we are in now (21st November) there is still an impressive amount of water. Reports that you might have read of no water are probably from visitors who only went to the Zambian side. On the Zambian side from September through till mid December the water has almost completely dried up. Planning to do a safari at the end of August. I understand that will be cold in the mornings and evenings. What temperature can I expect at the end of the month? Does the camps have heaters? The very cold mornings and evenings that one gets in Hwange are generally during June and July, by the end of August the weather will have warmed up considerably and it a lovely time of year. I would say the coldest the evenings would be would be 15c but on average more like 20c. Not sure which camp you will be staying at but they don't have heaters. They have fires in the evenings and some of the top market camps will put hot water bottles in your bed, but that wont be necessary by the end of August. Ofcourse there is always the possibility that a cold snap comes through, this is unpredictable and will normally only last a couple of days. We want to make a booking to go and see the falls either the last week of July or in September. We don't want to go when the flow is at its highest (scared of visibility) but would still like to see as much water as possible! I have read all the information and comments available and know about all the other advantages of every time of the year, so based only on what you will see of the falls, July or September? Thanks so much for your wonderfully informative site! Comments for When to go? Hmmmm. a tough choice as both have their merits. To me though September is just the best time of year. There is still plenty of water coming over Devils cataract and Main Falls and the view is clear. The eastern side of the falls is definately drying up and rainbow falls and horsehoe Falls will have limited flow. Weighing in all the other factors aswell. September to me wins hand down. What is the best time of the year to travel, regarding weather conditions? I plan to visit Victoria Falls in mid September. In searching for info, I seem to be getting conflicting info. Some said Sep. is the best month to visit while some said the falls will dry up in Sep. I am not interested in white water rafting or swimming to the edge of the falls. I want to be able to appreciate the mightiness of the falls but not obscured by the mist spray. Will there be enough water in Sep. to do that or will I be just looking at a bare gorge? September is a wonderful time of year, one of the best!. The reports you are hearing of a dried up gorge will be from the Zambian side of the Falls. If you come in September you must view the Falls from the Zimbabwean side. At that time they are not at their fullest but there is certainly still a good volume of water going over and the advantage is that the view is not obliterated by spray as is the case when the water levels are higher. The other advantage is that if you are going to be doing any game viewing this is the best time of year to do that. Planning a trip end of march for a week.should we rather change it for September to get a better view and pictures. In March the water levels are very high so there is a tremendous amount of spray which can almost obliterate your view in some places. Even at the moment 14th January the water is high and there is lots of spray. In March one gets to experience the tremendous power of the waterfall from the huge volume of water, but if it's a view of the Falls you are after then in my mind if you can change to September you should. Is May good time to see the Victoria falls? Weather wise May is lovely - not too unbelieveably hot, but clear blue skies and day temperatures probably averaging upper 20's. The Falls have just pasted their peak flow which is in April so they are still very full, with and enormous amount of spray, showing the full force of this waterfall. Views of the falls themselves in some place can be obscured due to the Large volume of spray. It's a good idea to do a helicopter flight to see the falls from above. Game viewing in the surrounding area is starting to get better as the bush starts to dry out and water becomes more scarce. All in all May is a lovely time, but you can't do white water rafting or the devils swim, because the water level is too high. All other activities are available. Difficult question to answer as it totally depends on the weather. Early December generally seems to be okay with scattered thunder showers in the afternoon, but as one progresses into the second half of December and January the rains have set in and you can get several days of rain at a time which can spoil ones visit totally. It really is luck of the draw. The Falls are great to see at that time of year as the water level rises but it's not to high. My view, if it's the only time of year you can come, then still worth the visit, you wont be dissapointed with the Falls themselves, but if you can visit at another time out of the rainy season, I would recommend it. we want to go to the falls on 26th April,our travel agent in India is telling us not to go to the Zim side because the falls will not be visible! Is it even worth going at that time or should we spend that time in SA. Thankyou for the info. We will go to Vic Falls. If we can go to only one country which one should we go to - Zambia or Zim? April is when the Falls are in Peak flow. There is a tremendous amount of water going over the edge, but they are definately worth seeing. It is one of the best times to see them because of the sheer power of the water. Different view sites along the Falls mean that not all the view points are obliterated with spray. This is a good time of year to view the falls from a Helicopter, they are spectacular from the air at this time. So each time of year has its merits and demerits, but I would definatley still recommend that the Falls are worth seeing in April. I will be in Victoria Falls at the end of February. I know it will be warm during the day but will I need a warm jacket at night? Also, can you recommend the best footwear? I have heard you get soaked from head to toe when you are close to the Falls and don't want to be walking around in soggy trainers all day but don't really want to spend a fortune on a special waterproof pair just for this occasion. Comments for How cold will it be? February is still very much in summer so the evenings will still be warm. Average minimum for February is 18c. A light jacket if anything will only be necessary. See more info on our weather page. It is still the rainy season though so you can expect some rain at times which cools things down a bit. You only get soaked from head to foot when you are at the Falls themselves as soon as you are 50 meters from the falls there is no spray. With the warm weather your shoes should dry out pretty quickly. I wouldn't buy any special waterproof shoes, normal trainers are just fine. If anything take some slops or sandals to wear while your trainers dry out. You can always bata these when you go for a small curio with one of the curio vendors, they love shoes!!! Just want to know if anyone out there just got back from Vic Falls, how was the weather and also the mosquitos - did u take malaria tabs has i have heard taking the tabs have lots of side effects, pse let me know your views. Weather is extremely hot and the bush very dry at the moment. Trying to build for the rains, but only had one really big rainstorm so far. Rain traditionally arrives in November and the once the bush turns green it cools down a bit. Temperatures currently 38 to 40c. Mozzies unseasonally terrible, really really bad. so malaria tablets definitely advisable as it is a malaria zone. You can chance it and then just make sure you watch out for the signs once you get home in about 14 days. Any slight signs of headache or fever rush to your doctor and explain that you have been in a malaria zone. Malaria is quite treatable as long as you catch it early. 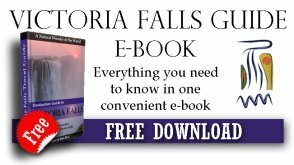 Residents in the Falls don't take prophylactics as they cant be on them all the time. Not all prophylactics have bad side effects. Tablets like mefliam taken once a week give me no side effects when I have taken them before. will we enjoy our stay in vic falls during october, will we see a good pic of the falls, and going to chobe island for the day will we see any wild life. Yes I am sure you will have a very good time in October. Every season has its advantages and disadvantages. October is very hot and dry. The water level flowing over the falls is getting to its lowest but there is still plenty of water coming over the Falls on the Zimbabwe side and are still very impressive. The Zambian side of the Falls will be almost dry. Game viewing is extremely good as there is very little surface water around so the animals congregate at the waterholes and the river. So Chobe will be very impressive and you will see an unbelievable amount of game. Migrant birds like the carmine beeater are here. White water rafting is brilliant. Another plus is that there are not many mosquito's at this time of year. In your opinion which month would be better to visit Victoria Falls? Hi- We would like to visit Victoria Falls next year and have read most of the info on your website. We have decided that April, July & August sound like good months. Of course we would like to see the falls when it has lots of water but also realise that taking photos would be difficult, so then we decided that July could be a good time but is it not drying up then. We also considered August because there used to be a half marathon that started at Vic falls but we are not sure that it is still run? We are interested in viewing & photographing the falls (of course! ), doing the half marathon, game viewing, bungee jumping and the high wire. Comments for In your opinion which month would be better to visit Victoria Falls? Hi Cynthia - Just to give you a heads up on the months you have chosen. April is at the end of the rainy season. The Falls are at their peak and very very full. Quite hard to see much from the ground but great from the air. Hard to photograph due to all the spray, but impressive in power. Lovely temperatures day and night, only slight chance of rain. July- Zambezi water level dropping so visibility a bit better, spray being reduced. Game viewing slightly better now as water in some areas starts to dry up. Can get very cold at night. It is mid winter after all. August - would be my recommendation - water level have dropped so there is still tons of water and it is very impressive but viewing and photography much better. Game viewing is nearly at its best as inland water is drying up and animals congregate at the river. Summer migrant birds start to arrive late August and early September. Beautiful time of year. Temperatures are nice and warm. The marathon and half marathon do definitely still exist. I will be posting something very soon about this years one. If you follow us on Facebook you will receive updates about this. October is at the height of the dry season, and it gets intensely hot. The Falls will be at their lowest at about the end of November. The Falls on the Zimbabwe side never dry up and are always impressive even at the height of the dry season. In fact its a lovely time of year because there is greater visibility of the Falls due to less spray. The Falls only become dry from rainbow falls going east towards Zambia. So if you only go to Zambia you will be disappointed as you will not see any waterfall, just a huge rock face. Game viewing in October is at its best and summer migrant birds are here in full force. So all in all if you can handle a little bit of heat, it is a brilliant time of year. If you come to the Zimbabwean side you won't be disappointed I can assure you. It's not possible for me to up load picture here as I am only commenting on your question but if you go to our pictures page Click Here. Pictures 1, 2, 3, 4, 9, 10, 11, 12, 13 are all taken in late September and you can see that there is plenty of water. Picture 9 shows you rainbow falls and eastern cataract in Zambia that are starting to dry up. By late October those will probably be completely dry. Picture 10 shows you main falls which still has tons of water. Optimum time of year for game viewing is around August, September and October this is when the bush is at its driest and the animals congregate at the waterholes. As for white water rafting, there is not really any gentle time on the Zambezi. August September October is when the river is low and when it is at its most exciting and at its biggest. Late December, January, February is when the river starts to rise and some of the rapids get washed out so it is less hectic overall, but some of the rapids are still big. A houseboat on Kariba is perfect through August, September October. So overall those months in my view are the best all round, and there is very little chance that your holiday will be interrupted by rain. The Falls at this time of year are also great.. not too much spray but still enough to give you the sense of enormous power. If you are after a few days in a Game park I would recommend Hwange. If you get hold of us we can recommend a few good places to stay. how can you find out the weather in Zimbabwe? There will be water, its the Zambezi river and it always has water, most of the Zimbabwe side has a reasonable water flow through Devil cataract and Main falls. Horseshoe falls , rainbow falls and eastern cataract in Zambia dry out. If you only go into Zambia at this time of year you will be disappointed, but the Zimbabwe side is still fantastic. Firstly, thank you so much for a wonderful informative website on Vic Fall, Well done!! Vic Falls is on the very TOP of my destination list on this planet and am incredibly passionate about spending time there, whenever the oppertuity allows, and convincing any one showing the slightest bit of interest in the place to go see for themselves. Have been priveledged enough to visit every year for the last five years now, normally staying at the awesome Saf Lodge, but this year spent the visit at Imbabala Safari Lodge. What an AWESOME, AWESOME spot of the best of Africa, run by one amazingly wonderful, Karen Poole. I am now a "confirmed addicted follower" of her truely remarkable blog!! Have just wrapped up confirming a booking for four friends, through Shirley of Destinations Uncovered for a stay at Imbabala beginning Sep. They had such a wonderful time at the Saf Lodge last year and are now looking forward to their trip to Imbabala this year. Ok now after all that waffle, the reason for my mail is that my neighbours were here for the day today and are very keen to do a trip up to Vic Falls end Sep for a week and before I put some suggestions forward to them I wanted to find out from you what the flow of the river over the falls would be like end Sep. They have not been to Vic Falls before and I dont want them to be dissapointed with the flow of water over the falls. I have normally visited the Falls end Feb, and May but one trip I did was in Nov when the river was low. Having seen the Falls in full flow I was happy to see what it was like to see it when the river is low which is quite an amazing sight of contrast. But could you please advise as to what the Falls would look like end Sep. I would be most grateful for your input. I put an account together, of our last trip earlier this year to Imbabala, with photos, but have no idea how to send it to you via this website. If you would like me to send you a copy of the attachment please could you advise how I could send it on to you. If you perhaps have an e-mail address I could forward it to, please let me know. Keep up the fantastic work you are doing in promoting one of the most special spots on this planet. Glad you like the website, and couldn't agree with you more about Imbabala, what a fantastic place. Main falls always has water and so does devils cataract, but rainbow falls and eastern cataract have minimal water coming over them. It still is very impressive. Personally I love it, it is one of my favourite times of year, and although you don't see the Falls in full flood, everything else around the falls is at its best. good birding, best game viewing etc. If you have a look on our Pictues Page - photos numbered 1,2,3,4,9,11,12,13 are all taken at the end of September. That might give you a better idea. We would love to get your report in Imbabala. You can either email it to us on info@victoriafalls-guide.net or submit it in this FAQs section and I will move to the reviews section, just copy and paste it into the box(like you posted your question) and upload up to 4 photos, I hope that you find it easy enough. Hi I've just found your fab site and am well impressed by it. I am staying at the Kingdom on a b+b basis for 1 night at the end of a 2 week mega safari taking in South Africa, Zambia and Botswana. The question i have to ask is one of approxiamate costs. We have heard many good reports about Mama Africa restaurant and were wondering what the average cost of an evening meal with drinks would be? Also is it true that the locals really want and need ballpoint pens and clothes? As for payments would Mamma Africa and the Kingdom accept payments by debit and creditcard? Sorry for the delayed response, but Mama Africa's Telephone numbers all changed and it took me a while to get hold of the new ones. As far as credit and debit cards go. Mama Africa does NOT accept cards... it is only cash. Kingdom Hotel accepts VISA credit cards only. Yes locals are desperate for anything. Clothes they are very grateful for and shoes are particularly popular. Don't worry about it being second hand, bring you old stuff they love it. Hope that helps. Have a good time!! !